I had some rather special guests in the studio yesterday. 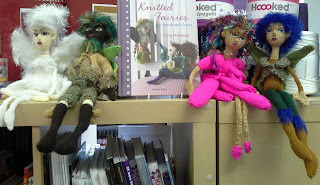 Katie Vale brought her Mum, Sue, to show me the lovely ladies she had made from the book Knitted Fairies by Fiona McDonald which Katie got her for Christmas. Aren't they fabulous? 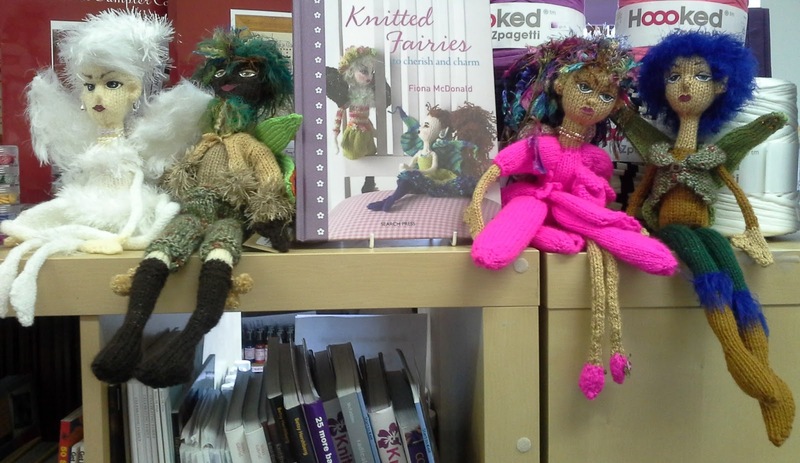 Whilst she was here, Sue bought Knitted Cats by Sue Stratford, so I'm hoping I'll get some feline visitors before too long! 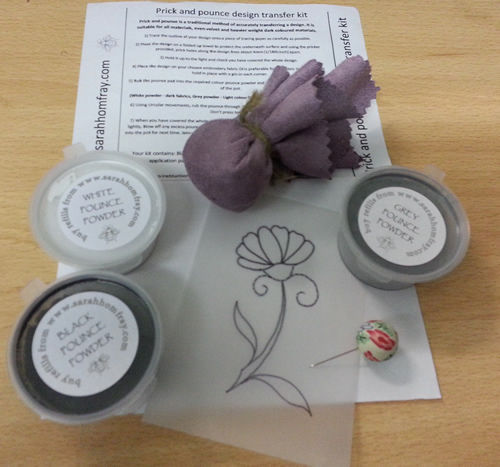 I'm often asked the best way to transfer designs from paper to fabric. The most traditional way is by the Prick and Pounce method. 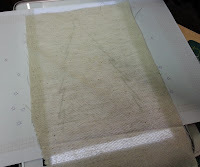 After tracing your design onto tracing paper, prick the outline and then rub powder through the holes onto your fabric. 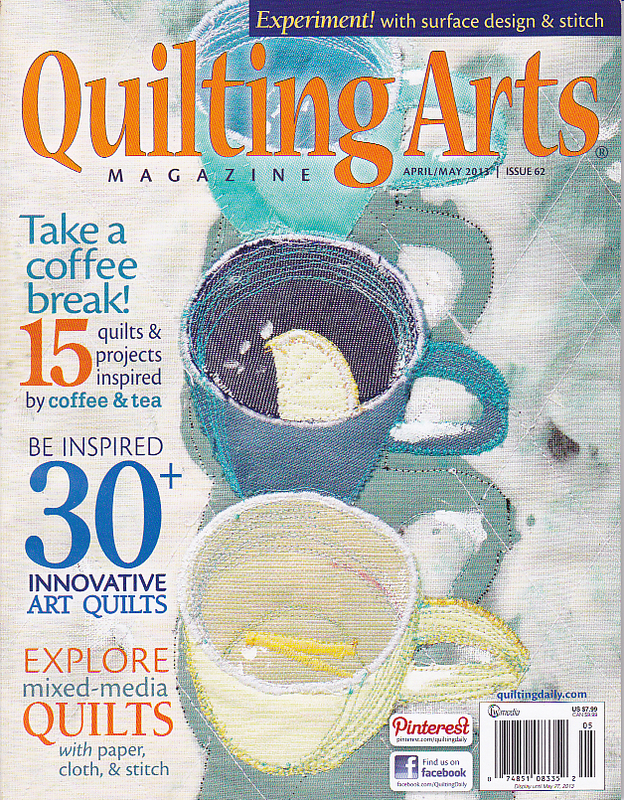 To make this as easy as pie, I now have in stock a great kit which Wendy Smith discovered for me. It contains all you need including three colours of 'pounce', a pricker, pounder, full instructions and even a partly pricked pattern for you to try. 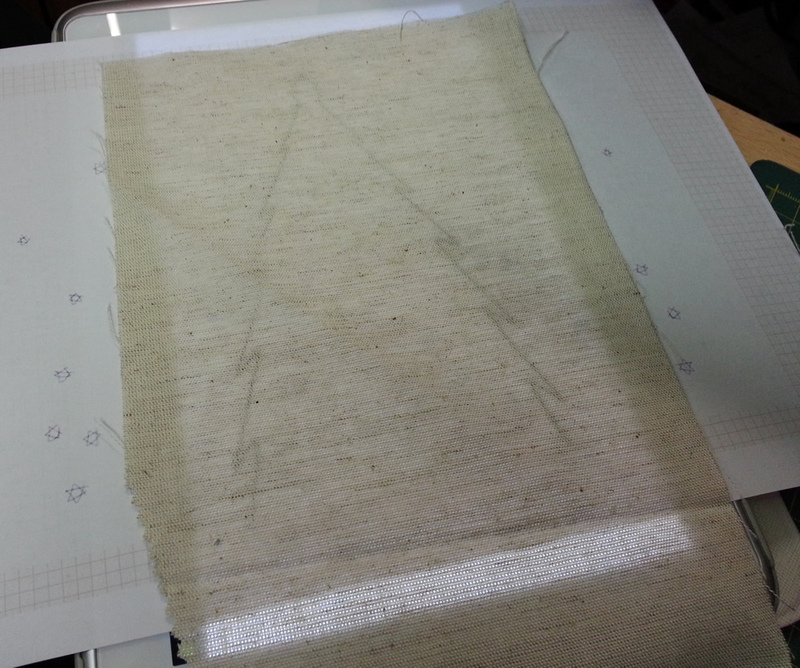 Another method of transferring designs is by using a light box. These are often quite expensive, but I discovered a way of using my tablet as a light source. I just downloaded a flashlight app from Play Store. The one I use has a choice of colour, so I chose a bright white colour, placed my design and fabric on top of my tablet and was able to draw my design onto the fabric. So you now have two different ways of transferring designs to try; traditional and hi-tech! 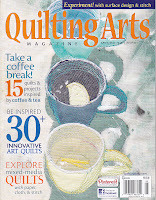 I've just received the latest issues of Mollie Makes and Quilting Arts - I've not had time to review them yet, but I'm sure they are both as jam-packed as usual with inspiration and delights.